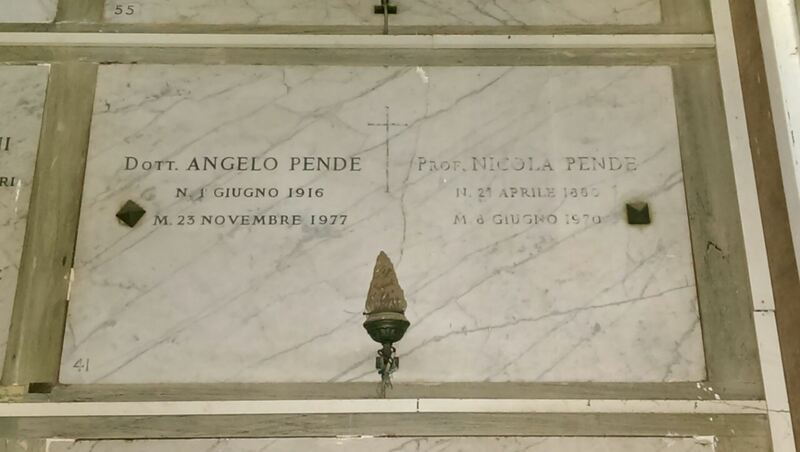 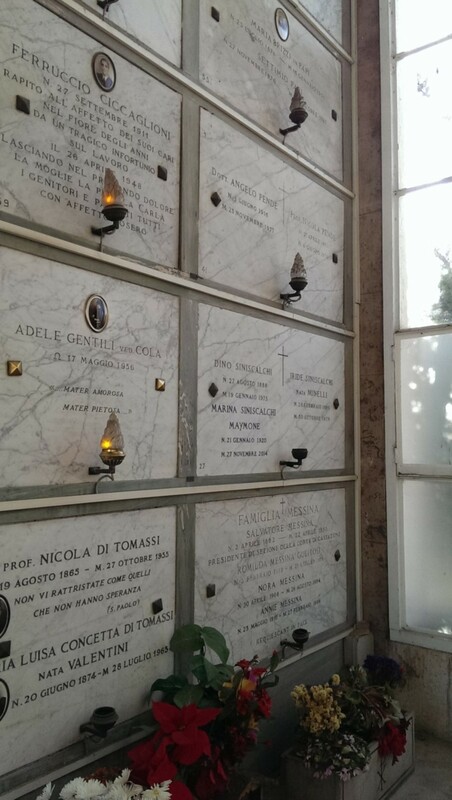 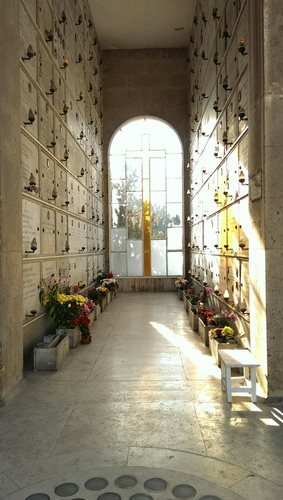 Nicola Pende's tomb is located in the cemetery of Verano, which is in Rome. 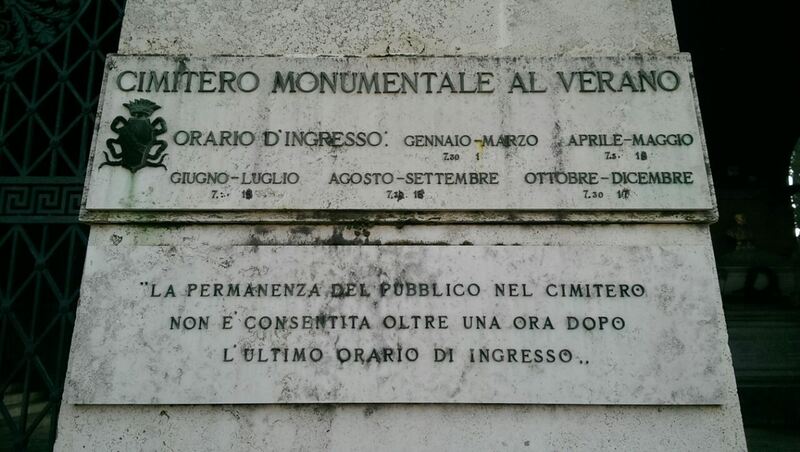 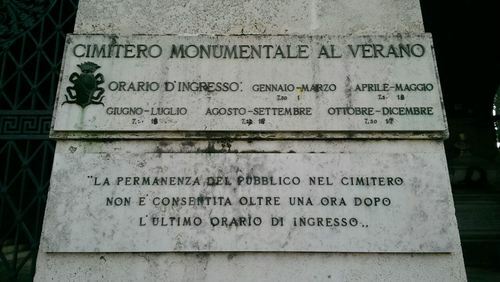 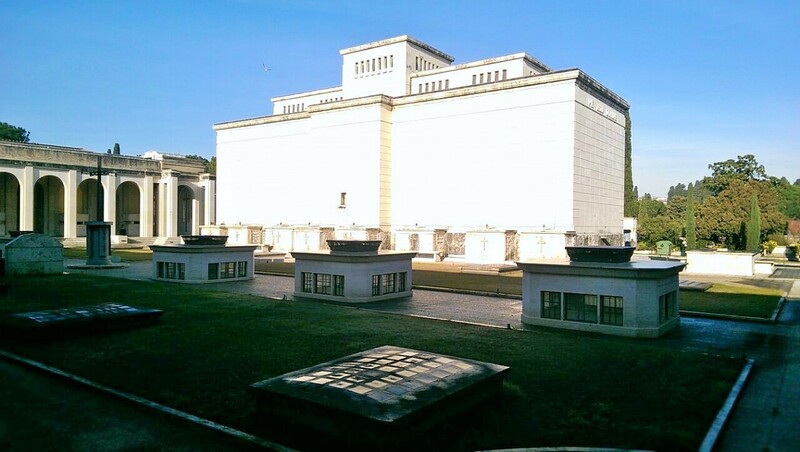 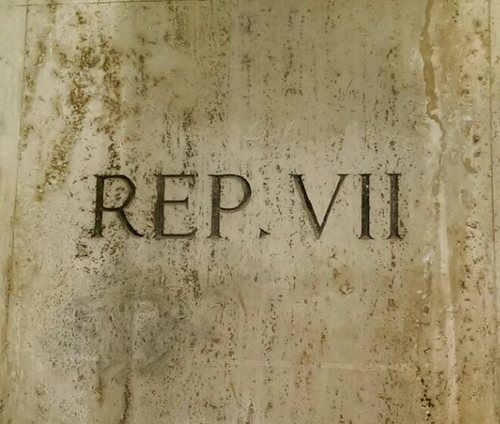 The marble gravestone is situated on the left wall of the VII department of a more complex and stately unit, known as "Portico Sepolcreto Veneranda Arciconfraternita dei Trapassati" and it is surronded by flourishing meadow. 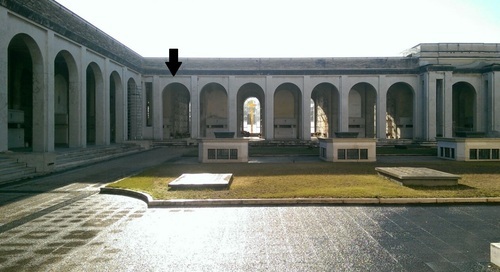 This monumental structure includes a wide range of niches and it is quite close to the main entrance.